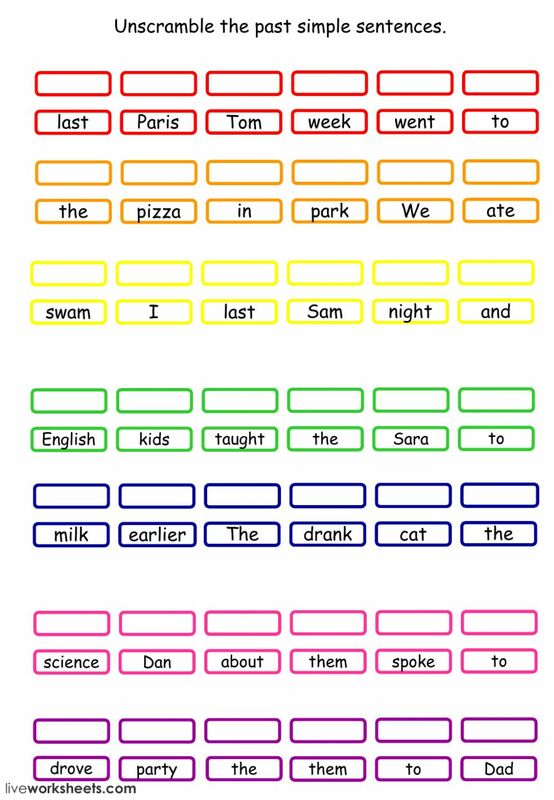 Students need to unscramble the past simple sentences. The verbs are irregular. Copyright 5/5/2018 Melissa Kalaf. Publication or redistribution of any part of this document is forbidden without authorization of the copyright owner.